The loaf in the photo above is from a formula of my own that I've been playing around with for weeks now, trying to get a result I could live with. Finally after several previous unsatisfactory bakes, this latest attempt produced something close to the loaf I've been trying for from the beginning. The bread is a Country Style Rye with a mixed grain soaker and a levain, so nothing that hasn't been done before in many ways over many years by other bakers. Last week I made the dough and baked it in the Dutch Oven, and although it tasted fine I wasn't thrilled with the appearance. Photo below of last weeks effort. The scoring was poor and it spread too much from what I believe was a combination of too long a final rise and too much initial steam generated from baking in the DO. That's my best analysis at any rate. The other problem was the formulation itself, which needed multiple tweaks to bump up the overall flavour, as well as the percentage of levain, which I'd originally had far too low . With the help of a spreadsheet I'd managed to put together a few weeks prior, adjusting the formulation was a quick and easy process compared to doing it the old way. More about the spreadsheet further down. This latest bake went fairly well compared to the last, getting a good even jump in the oven, with the slashing opening up nicely minus any unsightly splitting or tearing. The colour is a bit darker than I'd prefer but with the high hydration of this loaf I thought it best to bake it as boldly as possible. The crumb is moist, dense, and flavourful, having what I'd call a medium sour tang to it. It's certainly a work in progress but it's getting there somewhat. Making a bread formulation spreadsheet was something I'd promised myself to take a stab at sometime this year, having seen what a useful calculator they can be for adjusting formulae or quantities quickly and accurately, from using a few that my friend breadsong,http://www.thefreshloaf.com/user/breadsong had sent me late last year to try out. Being a complete newbie to this sort thing, it was a bit of a tough go in the beginning, but fortunately I had lots of expert guidance from breadsong while I plodded my way up the learning curve of making this spreadsheet . I can't thank her enough for all the tips and guidance she shared so generously with me throughout this project. This is just a very simple spreadsheet that calculates a desired final dough weight based on percentages. It's been formatted to look as close to a typical recipe layout as possible so that people who are unfamiliar with using a spreadsheet will hopefully find it easy to use. For anyone wanting something with a lot more functions and input, this one of mine will disappoint, but here's a link to Dolph's sheet that looks like it will do just about anything you could want. Another one you might try is from joshuacronemeyer's recent post of his nifty Dough Hydration Calculator. For those who'd like to try out this one of mine, the sheet for the formula as well as the procedure are available through links at the bottom of this post. Please note that the spreadsheet file is only available by downloading it from the links provided. No email requests please. The links will take you to a Google Docs page that shows the spreadsheet with the recipe. You can use the recipe as is from the G Docs page or you can download your own copy of the file in either Excel or Open Office by clicking on 'File' , 'Download as', then select a file format (for most people it will be Excel) and it will download a functioning copy of the spreadsheet . Now it can be used by inputting your own desired dough weight in the yellow shaded cell, or change any of the numbers in the green shaded cells of the percentage column to suit your preference. The format can be saved as a template and used for other formulas as well. I can't speak of the flavour, or your formula analysis. But it looks like a great loaf of bread going by your photos. Given your baking skills, I'm guessing that means it really is a great loaf of bread! I think the bread is good but could be better. Regarding the flavour I tend to like fairly sour breads and I don't find this one in that range, but others might. The formula itself seems to work OK but no doubt there's still room for improvement. I'm going to set it aside for awhile and come back to it in a few weeks and see what can be done to make it better. I enjoy assertively sour rye breads too, so i'm looking forward to the formula when you finish tweaking. I hope you will share it. Thanks for your comments, always a pleasure to hear from you. If you already have a good strong sour on hand to use in this formula, it might be something you could try out for yourself using the formula provided in the link as a guide. I rarely consider any formula as being written in stone, so If you think something needs to be changed or adjusted, by all means have at it The recipe is pretty basic in my opinion and I'd certainly welcome your hands-on perspective of it should you care to give it a go. At the point it is now it's a good everyday bread for sandwiches. I dl'd the spreadsheet and procedure doc. They look very interesting. My rye sour has been neglected, but it always seems to bounce back with 2-3 feedings. As a rye bread novice, I'm not ready to try this one. But I will come back to it. Maybe if David decides to try it out he'd share his notes with you so you wouldn't be going in 'cold' so to speak. I'm sure he takes much more detailed notes than I normally do during a bake that could help a lot when you decide to do it. Other than the dough being sticky in the early stages, it's pretty much like working with any other dough. 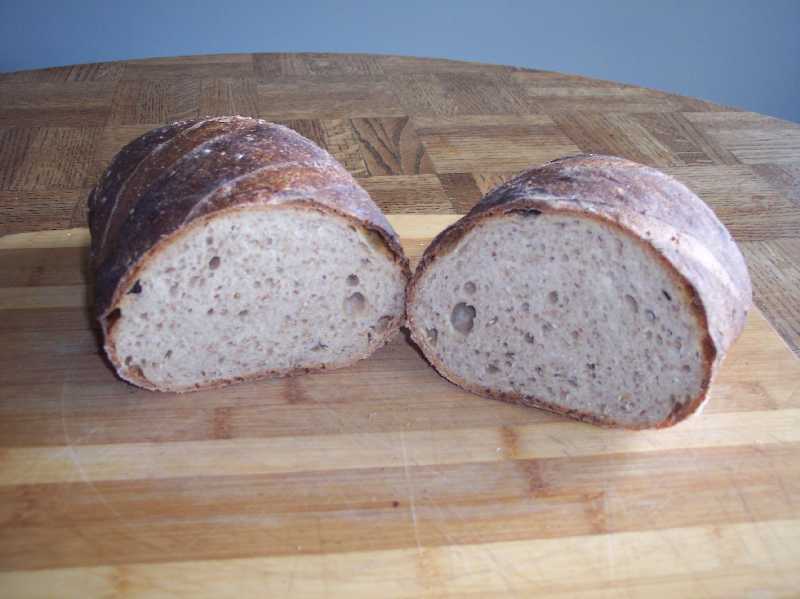 Your country rye bread has a beautiful crust and crumb, and looks absolutely delicious! Thank you for the nice mention re: the spreadsheet. I was only to happy to help, considering the kindness you've shown me and your generosity in wanting to share your spreadsheet with other bakers. You were probably wondering if I'd abandoned the whole bread & spreadsheet post we talked about ...what.. a month ago! The header on your reply should probably read finally a success! or What took you so long? While I wouldn't qualify this bake as a 100% success, it's the best of a bad lot for sure. Thanks so much for all your help with the sheet, as well as your comments on the bread. I really appreciate it! and what a delicious-looking result, with all of those grains! You are so welcome & I was glad to be able to help out! Thanks very much regarding the shaping. Doing it as batard rather than a boule worked out a lot better in the end for having just the right size for sandwiches. The score patterns on the boule were a result of making one cut too long and not having enough room to make an equal length cut opposite to it. Since I knew at this point the loaf wasn't going to win any beauty contests anyway, I figured I was better off just to leave it as is. Kind of an interesting looking effect I wasn't expecting came as a result. I know if you try it out it'll be intentional, and for better reasons than I had at the time. Franko, your loaves are always outstanding. What a super compliment to receive from a staunch rye man like yourself. Very nice indeed! Great to hear from you Nico, thanks. 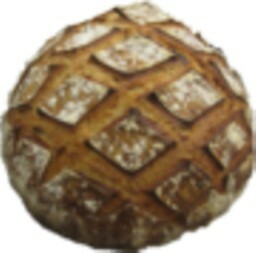 Both of your breads in this post look great to me and the close up crumb image is especially nice. The multi grain concept has so many variables when you think about all the possible grains that influence flavor. I'm going to bake this next. Thanks for sharing the spread sheet. Yours is very usable by anyone who wants to create a loaf of a specific size. Looks great. But Franko, the scoring on the boule is inspired. You are an artist. It never fails that I forget something when I put up a post. This time it was forgetting to mention that you graciously took the time to test out the spreadsheet to see if it worked the way it was intended to. Thanks again for your time and input on it, and my apologies for not including that fact in the post. The mixed grains give the crumb additional texture, flavour and chew that adds considerably to the overall result. The sour has increased slightly since yesterday but still in what I would call the medium range, which I think is a good place to be for this bread if you want to use it for a variety of sandwich fillings or for toast and preserves. I appreciate your comments on the scoring of the boule, but see my explanation to Syd of what actually happened before you put me in the same category as Khalid, breadsong or Txfarmer....much as I'd like to be. Looking forward to seeing your rendition of this loaf Eric, and by the way I'm glad you like the sheet, but let me know if you have any problems with it and I'll have it sent back for further testing. Love the texture of that rye, Franko! That's just a fine looking rye sandwich bread. 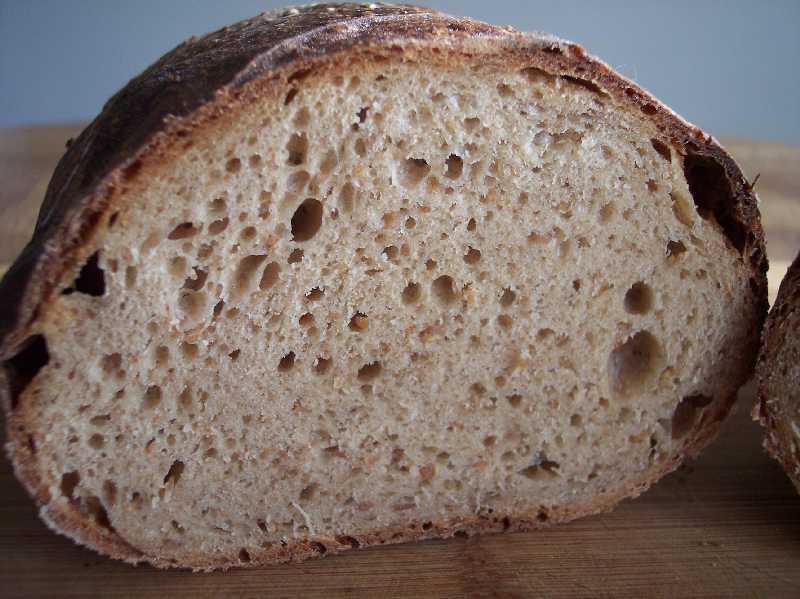 The crumb is nicely open and light looking, and the addition of the soaker grains show clearly in the picture. I have a similar rye using a soaker, but looking at yours it's time for me to abandon the rye soaker and experiment with some cracked grain soakers. Nicely done - oh, thanks for the handy spreadsheet. Also nicely done! Your posts on rye with soakers have been some of my favourites on the subject so I think a lot of what I learned from them regarding texture and flavour have stuck with me over time. On the job we used to make a light rye with a rye meal soaker that the customers loved. We kept a pail of soaker in the walk-in and the longer it sat in there slowly fermenting, the better the bread tasted. Why we discontinued it I'll never know. Thanks so much for the compliments on the loaf and the spreadsheet. Always great to hear from you Larry! Among many other things, it's obvious you have your fermentation under control. Beautiful. eta: It would be great if that spreadsheet worked for macs. The first time I mixed this bread was at the end of a long week of work. I had the hockey game on and decided to mix it during the 2nd period intermission, then watch the 3rd period during the first hour or so of the bulk fermentation. I settled in and watched the Canucks win another game...and then promptly dozed off for about 2 hours. Well let's just say that this isn't a recommended procedure for proper fermentation. I mixed some baker's yeast in, worked up the dough and threw it in the fridge. The final result was pretty bad, edible but not tasty. So controlling fermentation not only in the final dough but the levain itself have been an issue for me with this bread for one reason or another. Next time I do this bread I'm going to try an overnight final rise in the fridge and see what happens. As for the sheet working for macs, below is a link to a Google page that has a raft of sites that have spreadsheet converters available. I'm sorry I didn't have time to nail it down any further for you, but this should be a good starting point. You can download Open Office for free. It is a complete office suite that includes a spreadsheet that will work with Franko's, if you download it in Open Office or Excel format. Open Office has versions for OSX, Windows and other OS's. Thanks for the spreadsheet info, Franko and David. Thank you for taking the time to write up well as usual, Franko. I appreciate all your work to make a simple spread sheet for us. It is very clear and easy to use. I opened it up with Excel and downloaded it and I input 850g in the desired total amount number then all the ingredients amounts came out in a second. It is wonderful. 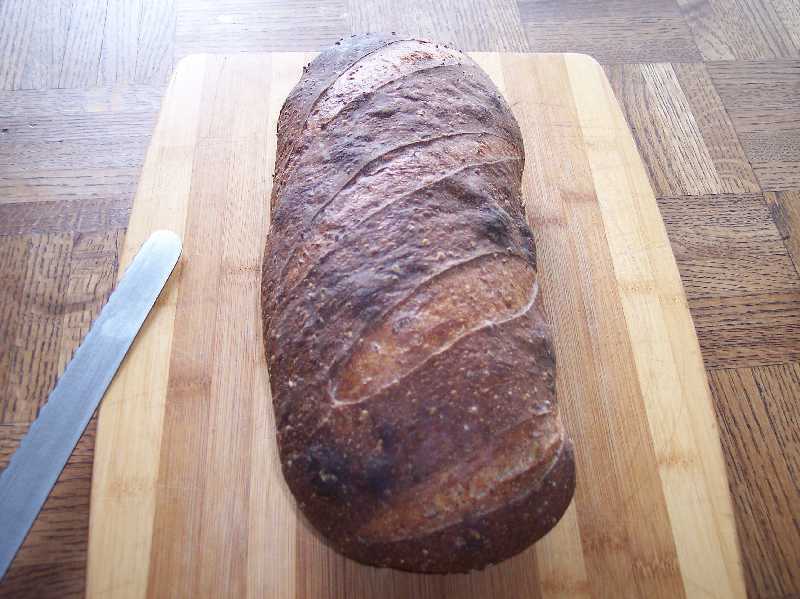 Your rye bread looks great as always. It is nicely baked. Especially, I like the crumb. What kind of sandwich do you make with the rye bread? I am not a bid fan of sour bread, but I like to taste a pinch of sourness from rye bread. So does my husband. Would you mind to tell me how you manage the sourness in the rye bread? I'm so pleased that you like the spreadsheet and find it easy to use. That's exactly what I was hoping for, just something us non technical types will feel comfortable using. Thank you for the nice compliments on the bread! For making sandwiches this bread lends itself to a wide variety of fillings. Meat, cheese, tomato, avocado. You might enjoy it with a shrimp or crab salad filling as well. If you'd like something less sour it's just a matter of entering a new percentage number next to 'leaven' in the Final Dough. So instead of the 43.2% currently in the box you could instead enter 21% for example. This will lengthen the fermentation time somewhat, but it should be OK. The other thing you could do is substitute your fruit yeast in place of the mature starter in the Levain section. Enter a % number you think would work best and the sheet will do the calculations. This the easiest way to manage the level of sour to your tastes. Thank you, Franko! I can't imagine how much you spent the time to master to make a spreadsheet. breadsong gave me a thoughtful word when I had had a hard time a couple weeks ago because of the earthquake and tsunami hit to Japan. She is absolutely generous. 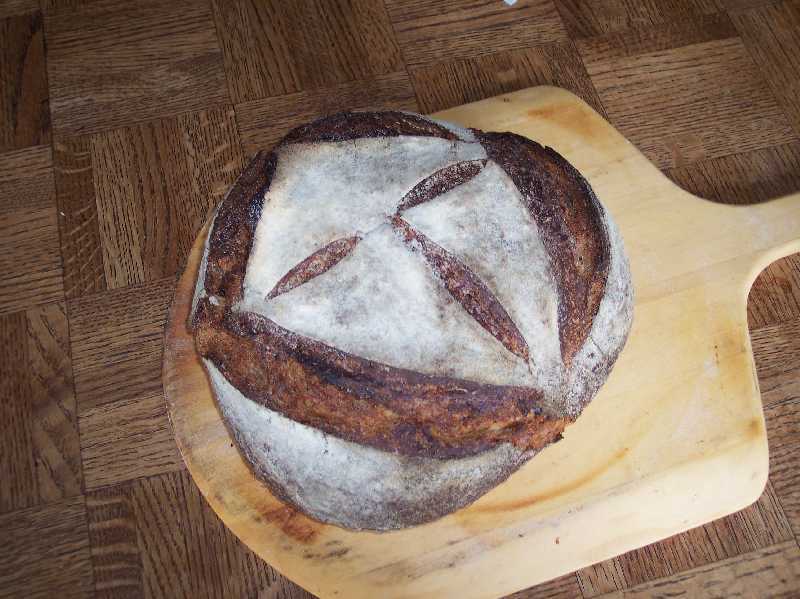 I will decrease the leaven amount when I make this, or other kind of sourdough bread. Another thank you to mention about my yeast water. I will change % number will fit in the leavan. I like the idea of sandwiches filling. I like seafood, so I better try shrimps!